If Fiorious’ debut single is a pounding fistful of defiant house, Honey Dijon gives ‘I’m Not Defeated Pt. II’ a snapping elasticated rework with her ‘Fiercely Furious Dub’ on this vinyl release. More than just a remix, Honey has recreated a classic Paradise Garage vibe by drafting musicians to re-record the track, with a fresh Fiorious vocal laid on top. A powerful call-to-resistance club anthem, ‘I’m Not Defeated’ is the debut Glitterbox single from Fiorious, now available on 12” along with instrumental and accapella versions, as well as ‘Honey Dijon’s Fiercely Furious Dub’ and ‘Honey Dijon’s Fiercely Furious Dubstrumental’. When Tom Laroye and Yam Who? debuted their impassioned disco cut ‘Hit It Off’ last year it immediately captured the hearts of its listeners. Now, the release is given fresh life for 2019 with a new vinyl package featuring their Extended Disco Version, and two remixes from legendary Australian selector Late Nite Tuff Guy. Written by acclaimed soul artist Benny Latimore, and made famous my Millie Jackson in 1979, the track was initially translated for the dance music world by Tom Trago. A1. Hifi Sean Feat. Paris Grey "Lost Without U (Extended)"
A2. Advance "Take Me To The Top"
B1. Paradise Express "Dance (Special 12" Disco Mix)"
B2. Slam Dunk'd "No Price (Art Of Tones Extended Disco Mix)"
C1. Mighty Mouse "The Spirit (Extended Mix)"
C2. Gizelle Smith "Dust (Dimitri From Paris Vs Cotonete Discomix)"
D1. David Penn "Losing You (Original Mix)"
D2. Oeil Cube "Disk Two"
Glitterbox presents this double LP ‘Pump The Boogie!’ vinyl compilation, exclusively created for upfront DJs and record collectors.‘Pump The Boogie!’ includes vinyl exclusives from Gershon Jackson, Mighty Mouse, HiFi Sean and Slam Dunk’d alongside recent Dimitri From Paris remix of Gizelle Smith and deep disco from Paradise Express. The musical manifestation of the warm glow that can only come from hitting the town with your friends, Horse Meat Disco and Amy Douglas have achieved peak nu-disco euphoria with 'Let's Go Dancing'. Backed by all-original and live-recorded instrumentation, Horse Meat Disco's unmistakeable strutting style is unstoppable, while Amy's impressive vocal range captures the energy of an entire nightclub dancefloor. With a little help from their friends Luke Solomon and session musicians on bass, drums, horns and keys, London's nightlife champions have finessed their style, perfectly representing the Glitterbox sound ahead of an album forthcoming on the label in 2019. This 10-track album features brand new remixes alongside all the much-loved essentials that have resonated with artists from Frankie Knuckles to Disclosure, Gilles Peterson to Mark Ronson. Alongside the reworks ? three of which have never been released before ? are instrumentals of each, most also previously unreleased, for the ultimate bumper pack. the album is an essential for seasoned Disco lovers. To create the project, Dimitri was entrusted to use the original studio masters from circa 1978 - 1980 that feature all of the individually recorded musical and vocal elements. The majority of these songs are for the first time given a respectful new mix and arrangement, unveiling never-before-heard performances, turning the spotlight on the beautiful orchestrations of one the most unique and highly-revered production duos of the Disco era and beyond; Nile Rodgers & Bernard Edwards, along with their CHIC organization of musicians. Tinks brings true diva flair to the track, and with the joyful chorus and smooth production, Qwestlife once again demonstrate their ability to craft modern disco with traditional analogue techniques, creating glorious dance-floor vibes and honouring a truly classic track. Available on 7” vinyl for music connoisseurs everywhere, a track like this is destined to be heard on wax, with a Disco Soul Instrumental version also available exclusively on the vinyl release. Glitterbox resident Dimitri From Paris and remixing pioneer Tom Moulton present their retouched mixes of Ron Hall & The Muthafunkaz modern day soul classic ‘The Way You Love Me’ now available on 12” vinyl. Initially released in 2006, Marc Evans provides velvet-smooth vocals complimented by background harmonies and timeless disco production. For his iconic T.S.O.P. Not only has it been some 15 years since The Shapeshifters bothered the pop charts with soaring disco-house anthem "Lola's Theme", but also nearly a decade since their last vinyl single. Appearing on a tasty seven-inch single, this two-tracker for Glitterbox features some of their strongest work since those halcyon days. A-side "Try My Love On (For Size)" is arguably the duo's most "pure" disco cut to date - a classic production that boasts rising horns, sweeping strings and a strong, Salsoul-esque vocal from Teni Tinks. Turn to the flip for the more relaxed and groovy "When Love Breaks Down", a future end-of-night anthem that's as poignant as it is uplifting. Coming in strong with an update on another classic track, Glitterbox Recordings presents Krystal Davis ‘So Smooth’ featuring remixes from Kon and Yam Who? alongside the original and an instrumental. One of the last in a rare breed of dedicated crate-diggers, Kon’s vast knowledge of the heavily swung rhythms of classic disco make him a reverent remixer for this mid-tempo Krystal Davis disco hit, originally released in 1985 on New York label Urban Rock Records Inc. His version amps up the pace, tailoring the record for any discerning contemporary disco set. Midnight Riot Records head Yam Who? goes blissed out with the synths for an irresistible mix that’s smoother than smooth. A1. Sister Sledge "Thinking Of You (Dimitri From Paris Remix)"
A2. Sister Slegde "Thinking Of You (Dimitri From Paris Instrumental)"
B1. Chic "Le Freak (Dimitri From Paris Remix)"
B2. 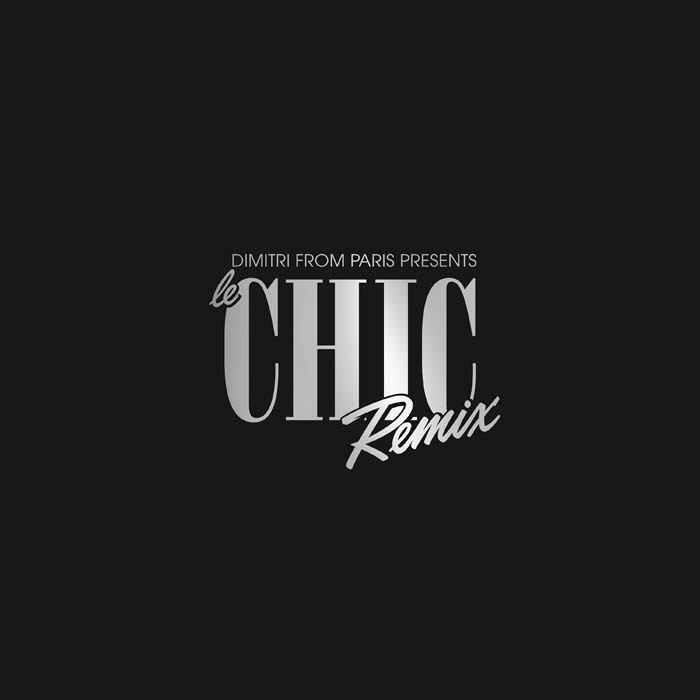 Chic "Le Freak (Dimitri From Paris Instrumental)"
Ahead of the 10-track album Dimitri From Paris presents Le CHIC Remix, this limited, hand-stamped white label features two of Dimitri’s meticulously reverent mixes alongside their respective instrumentals. In his mixes of Sister Sledge’s evergreen ‘Thinking Of You’ and the unmistakeable CHIC staple ‘Le Freak’, Dimitri’s touch underlines the enduring and undeniable power of these timeless disco records. Every once in a while a record comes along which is a little bit special, a record which stands the test of time, bringing the same reaction to the dancefloor now as it did all those years ago, and ‘Don’t You Want My Love’ is one of those records. Almost four decades after its original release in 1979, the record has become a favourite with the Glitterbox crowds, creating a seminal moment at Ministry of Sound when David Morales dropped it at the party in March 2017. Now Debbie Jacob’s timeless classic lands on Glitterbox Recordings for a special vinyl package including a re-edit courtesy of disco veteran Dimitri From Paris. The spirit of disco lives on. A creative partnership between Tom Laroye and Yam Who?, Qwestlife is a trans-continental boogie trip between the two producers’ respective homelands of Paris and London. Fulfilling the Glitterbox philosophy by crafting great songs the old school way with analogue and weird electronic gadgetry, Qwestlife’s ‘Give Me A Minute’ appeared first on Glitterbox’s Disco Revenge compilation and now graces vinyl for disco connoisseurs everywhere. Featuring the vocals of a frequent Yam Who? collaborator, soul diva Jacqui George, ‘Give Me A Minute’ is an instant party anthem. Folamour represents the present and future sounds of the disco/house hybrid, staying true to the Glitterbox sonic philosophy. His tracks share the same production values as the timeless records from classic disco imprints in the late 70s; melodies are super-tightly harmonised, instrumentation is lively and the rhythms are designed purely for dance. ‘The Power and The Blessing of Unity’ is almost a mini album, exploring all the facets of Folamour’s sophisticated house and disco tendencies. The title track sparkles with brass stabs and a textbook swinging disco beat, ‘Island Of Recent Father’ breaks things down into synthy house goodness, ‘Let’s Grab Some Smokes’ channels a more contemporary low-fi sound and bringing it home with ‘Home Beyond The Clouds’, Folamour closes with uplifting house hooks and percussion. It’s a real trip. A1. LaTrece "I Want To Thank You (Dr Packer Edit)"
A2. Shuya Okino ft Navasha Daya "Still In Love (Dr Packer Remix)"
B1. ATFC ft Lisa Millett "Bad Habit (Dr Packer Remix)"
B2. Soul Rebels ft Lisa Millett "I'll Be Good (Dr Packer Remix)"
Ahead of a full-length album coming on Glitterbox Recordings, the king of disco re-edits Dr Packer presents four of his versions of soulful dancefloor favourites old and new, giving a flavour of what’s to come from the LP. Ralphi Rosario is a pioneer of house music, kicking off an influential DJ career in Chicago when he was still in high school. The remixes and productions that followed have garnered him #1 Billboard Dance Chart hits as well as more than 20 well-respected years spinning records. ‘Wanna Give It Up’ is a classic track given some very tasteful modern updates, from Dr Packer and Jamie 3:26. The familiar ‘Lego’s Dub’ from the original release is present and correct, alongside a suitably funked-up version from disco edits maestro Dr Packer. Finally, fellow Chicagoan Jamie 3:26 amps the party up a further notch with some irresistible clinking percussion and a lazy-cool groove.